Look at all the delicious cakes! 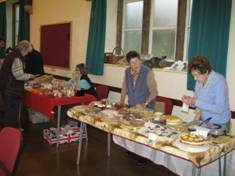 On Saturday 16th November crowds poured into the Church Hall for our Winter Coffee Morning which raised a record £576. In addition Membership Secretary, Beryl Thomas, took £375 in subscriptions and was delighted to recruit two new members. All the money raised goes towards meeting the running costs of the Museum. As Sue Amor, our Treasurer, who had the task of adding up the money, said: ‘It was hard work, but I think we can give ourselves 10/10 for effort’. We are very grateful to everyone who worked so hard to make the morning a success. Thanks go to all those who contributed items and those who came to buy them as well as to the stallholders, the washers-up, Paul and Lynn Euden and Julia Arntsen for the loan of her coffee machine! For the record the breakdown of the total of £576 is: Books £60, Bric-à-brac £78, Cakes £106, Coffee £60, Raffle £115, Shop/cards £137, Silent Auction £20. 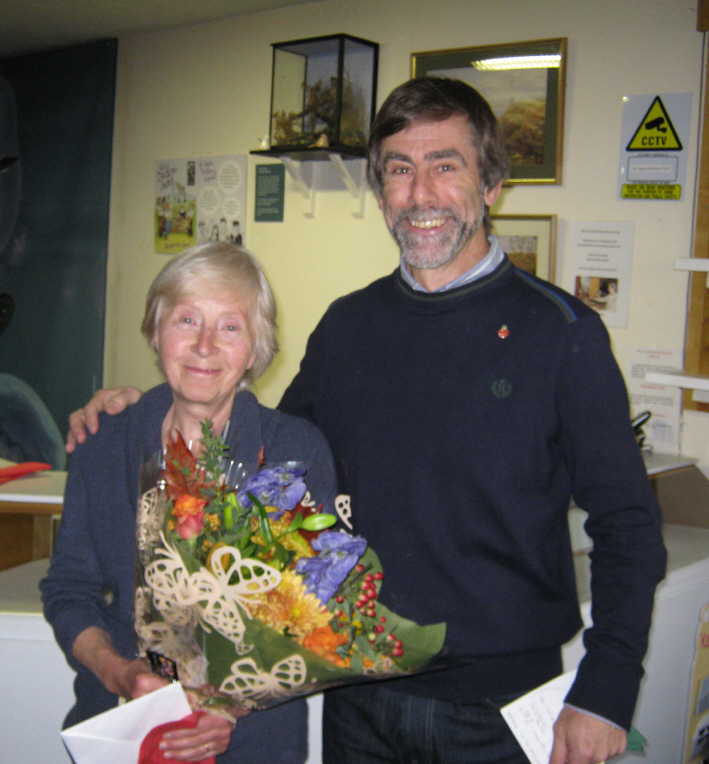 Very many of the 55 Voluntary Stewards at the Museum met there on 9th November to mark the end of the 2013 season and to pay tribute to Isobel Burrows who has retired after 18 years as the Stewards’ Rota Organiser and Mentor to new Stewards. Chairman of the Museum Trust, Roger Radcliffe, paid a warm tribute to all the Stewards “for keeping the Museum’s doors open”. Visitor numbers were slightly down on 2012’s record number due to the hot summer, but importantly, the spend per visitor was up and income from visitors increased by £400 over the previous year. The peak day for visitors was 31 July with a total of 73. It was, said the Chairman, the “Year of the Till” when the Museum installed a commercial till with which the Stewards had coped admirably. He praised Shop Managers, Mike and Lynn Furness, for all their help with the till installation and training. There was prolonged applause as the Chairman presented Isobel with a bouquet and thanked her for all her hard work over so many years. Isobel said she had really enjoyed working with such super, reliable Stewards.